It only took me a month and a half to get those base cabinets in. Just kidding. I just didn't take any new pictures till June. I don't know when I actually got those in. 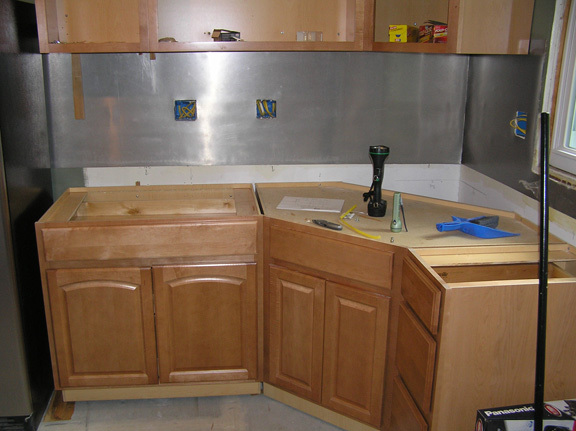 The plumbing is roughed in inside the corner cabinet too. That's my sink base.